What You Should Do While You Wait for Your Case to Move Forward - Abrams Landau, Ltd. 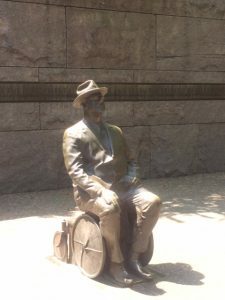 When Franklin Delano Roosevelt was afflicted by polio, he had to learn patience and planning. Much the same way, many of attorney Doug Landau’s disabled clients need to be patient with how long it takes for cases to move through the legal system, but they should not do nothing while waiting. Lawyer Landau advocates keeping good records of all doctors appointments, medical expenses, transportation reimbursements, and other out-of-pocket expenditures. Also, be sure to update the Abrams Landau team, or your own legal team, monthly. Sometimes, the courts take over a year to set a trial date. While awaiting for your day in court, it is imperative that you continue to treat with your doctors so that your medical condition doesn’t worsen. Clients should let us know what is going with treatment, testing and if they return to work. Landau also recommends that you use the time to look into lighter duty work that you may be able to do. Another good use of the time is to spend it looking into educational or training opportunities for other work that might not be as likely to cause re-injury. 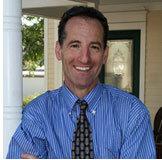 Bottom line, according to Herndon disability lawyer Landau, you should use the time wisely. In the vast majority of cases Landau tries, the injured client is asked questions about what they did to mitigate their damages. In other words, they are asked what they did to try to make the best of the bad situation by looking for light duty or sedentary work, pursuing education and/or retraining, or lessening the expenses of their medical care. It can only help your case if it’s clear that you tried to make the most of your situation while you were waiting for your hearing date. If you or someone you care for has been injured due to no fault of your own, and there are questions about how best to move forward, please email or call us (703-796-9555) at Abrams Landau, Ltd.